This guide is used as a note for myself. If you can benefit from this note, that's fine. 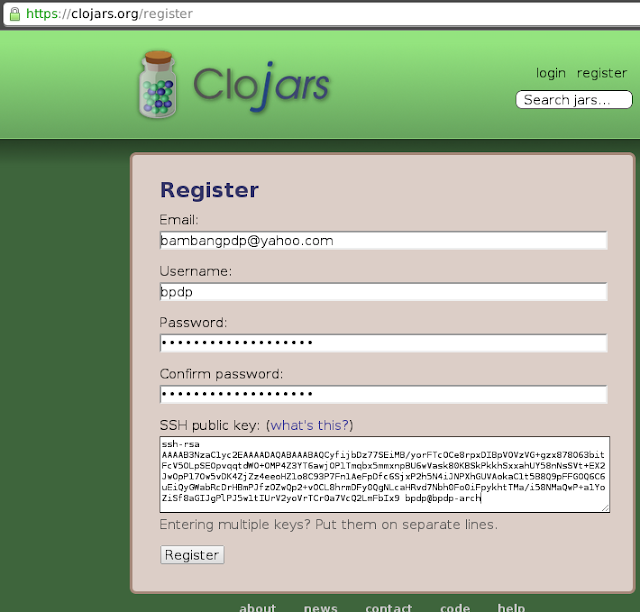 Here I just wish to document how I work with GitHub and Clojars. I need to do this since I have my own need for Ring middleware to reload automatically a server without restart whenever a namespace in Ring is modified. 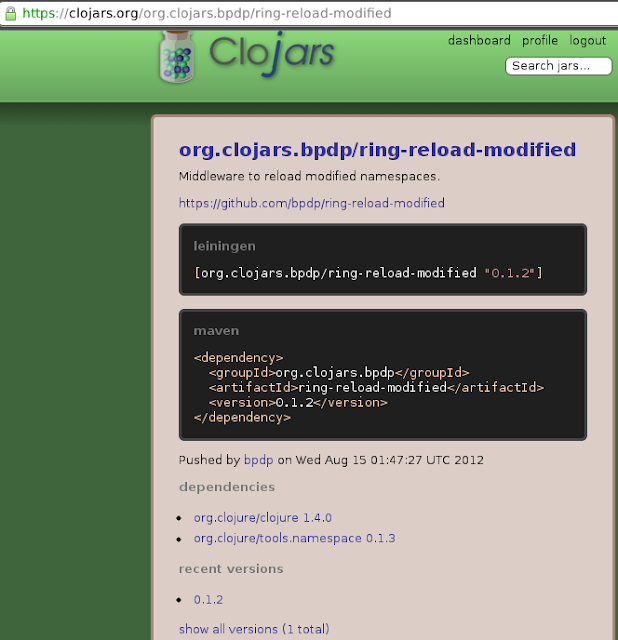 The original version was not maintained I think, since it uses Clojure 1.2.0. 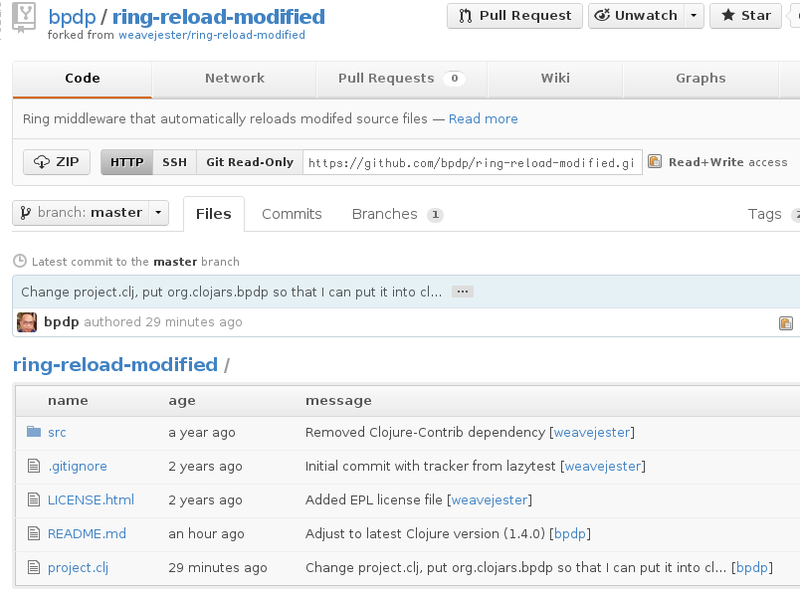 I forked the ring-reload-modified to my Github account. This can be done easily using step 1 and 2 from https://help.github.com/articles/fork-a-repo (I use only step 1 and 2 since I only want to fork and modified my forked version, not upstream version). Writing objects: 100% (4/4), 721 bytes, done. The result in Github project page (I have pushed another commit so the history is different with above). Your identification has been saved in /home/bpdp/.ssh/id_rsa. Your public key has been saved in /home/bpdp/.ssh/id_rsa.pub. That's all big guy. Have a happy hacking!